How could we increase population, without increasing problems on the road and at the gate? In the eyes of Burners.Me, we prefer getting more tickets to Burners over “slow growth” if there’s any possible way. It seems like most of the concerns about growing this year’s population cap closer to the newly permitted 70,000 , have to do with the amount of traffic on the road, at the gate and increased times on the way in and the Exodus out. SELL TICKETS AT THE AIRPORT! Every year, thousands of Burners arrive and leave by aircraft – either landing in them, or jumping out of them. 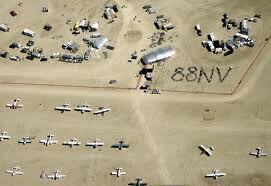 The Black Rock Desert has a long and rich history of aviation and rocketry. There are some flying condition challenges that suggest this is maybe not suitable for new pilots, but aviator-Burner-Virgins are welcome. There is a $20 handling fee for each aviation passenger. And they need to have tickets. The airport at Black Rock City is an unusual destination, because it exists only during the weeklong event, during which it replaces an “airport” hundreds of square miles in size–the dry lake bed–which is off limits in an approximate 5-mile ring around the temporary airport during Burning Man. The festival, which celebrates what it calls “radical self expression,” seems an odd match for aviation. 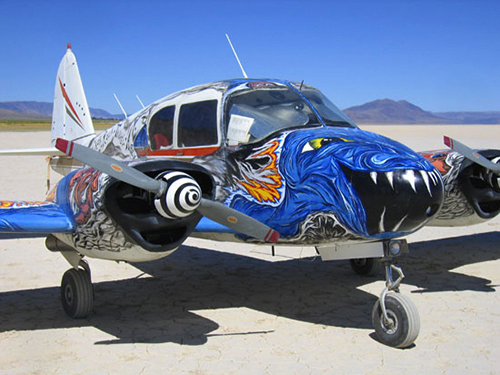 Not only are the festival grounds filled with extremely alternative forms of art and other more difficult to categorize forms, but the dusty playa can be downright inhospitable to airplanes. Dust storms that can cut visibility to mere feet are all too common, and the surface, depending on how much rain it’s gotten over the past few weeks, can range from spongy and billowing with dust to hard as a rock. That said, the event every year attracts a lot of airplanes. The next closest airport, Winnemucca, is 60 miles away. It is surely because Black Rock City is so far from civilization and so isolated that small airplanes make so much sense for getting to the event. So, why not create a special class of Air Burner tickets, for those who are able to bypass the hassles of the gate? Perhaps a $1000 ticket, that would entail a large donation to the Black Rock Arts Foundation, so that concerns of “Plug-n-Play non-contribution” to the party can be alleviated. end; there are only a few charter services. Flights to and from the nearby hot springs are popular. 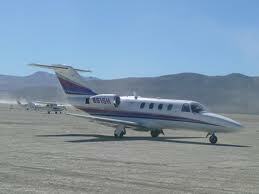 In a small plane, you can land almost anywhere on the Playa, it is the second flattest surface on the planet. If a special Air Burner tickets were available for aviators, the demand might be surprisingly high – maybe another thousand Burners could be accomodated on the Playa, without any change to wait times at the gate or Exodus, and without any more traffic on the Nevada roads. 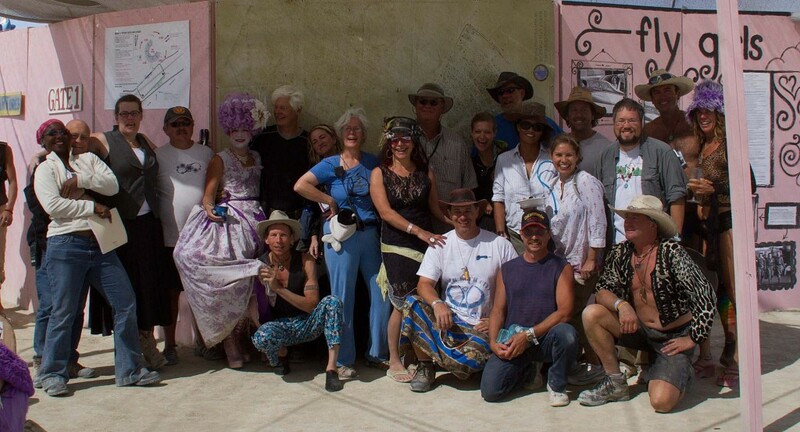 Skydiving is also becoming popular at Burning Man, with more than 100 in 2011. Open these Air Burner tickets to skydivers also, and you could get another thousand in via the airport, with their existing tickets also freed up to go to STEP. What do you think, Burners? Tickets have always been available at the airport with the exception of last year and this year as the event has sold out.